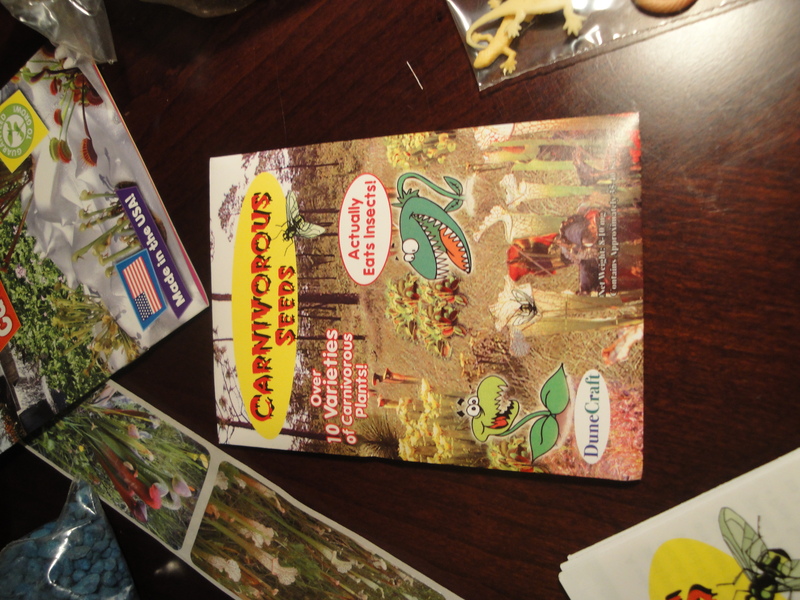 So Jon put together his carnivorous plant set last week. There are all these complicated instructions about, you know, refrigerating some sets of seeds but not others, and how and when to water, and how you won’t see any growth for nearly three months and then the plants are super-fragile for another three months. Basically we are raising babies here. Carnivorous plant babies. The set came with a fairly sizable planter, a few seed packs, and some decorative elements like stickers to decorate the sides of the planter, little plastic snakes to decorate the inside of the planter, and some rocks. The set also had dirt. Actually, two really compact dirt discs, to be precise. Jon wasn’t quite sure what to do with those at first. His initial reaction was: “this is all the dirt I get? !” And in my head I thought something along the lines of “Maybe we can de-compact the dirt” but I was distracted (I was probably blogging) so I didn’t say that. 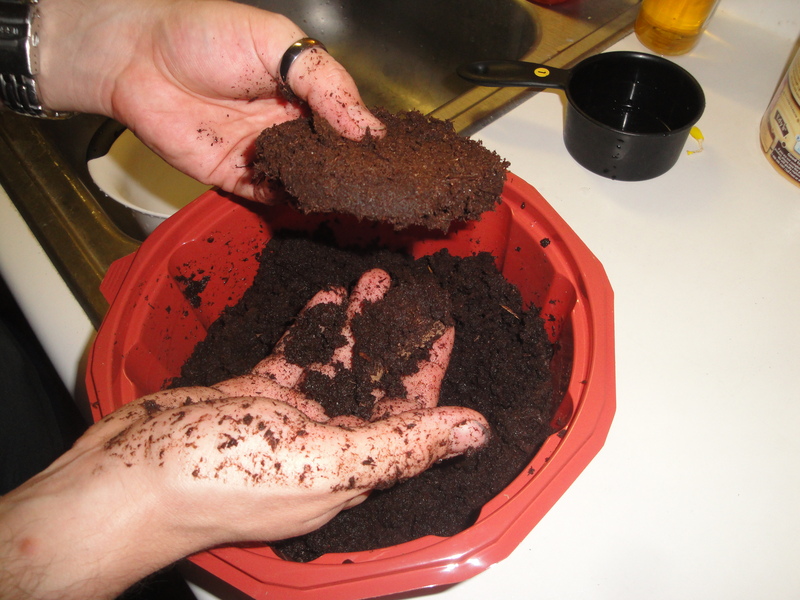 Then, of course, Jon figured out that he needed to moisten and then de-compact the dirt, which had been super-compacted into dirt discs. He even found a little piece of paper in the box basically telling him to moisten and de-compact the dirt. Problem solved. So, basically, all we have now is a planter filled with dirt. It is currently hanging out in a sunny, warm patch in our spare room. Jon mists it every now and then. I don’t think we’ll see any growth anytime soon. Jon planted the first round of seeds but there’s a second set hanging out in the fridge that will get planted at some point, I’m not entirely sure when. Once Jon adds more decoration to the planter or once some plants grow I’ll post another update! 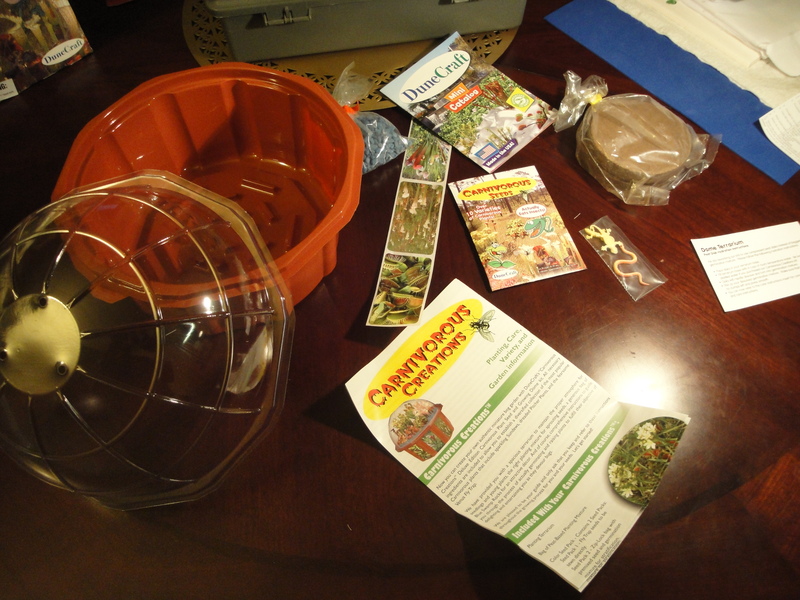 This is my chronicle of the Desktop Carnivorous Plant Set from ThinkGeek. I bought this kit of my own accord and have no relation to ThinkGeek–other than thinking that their website and products are rad.